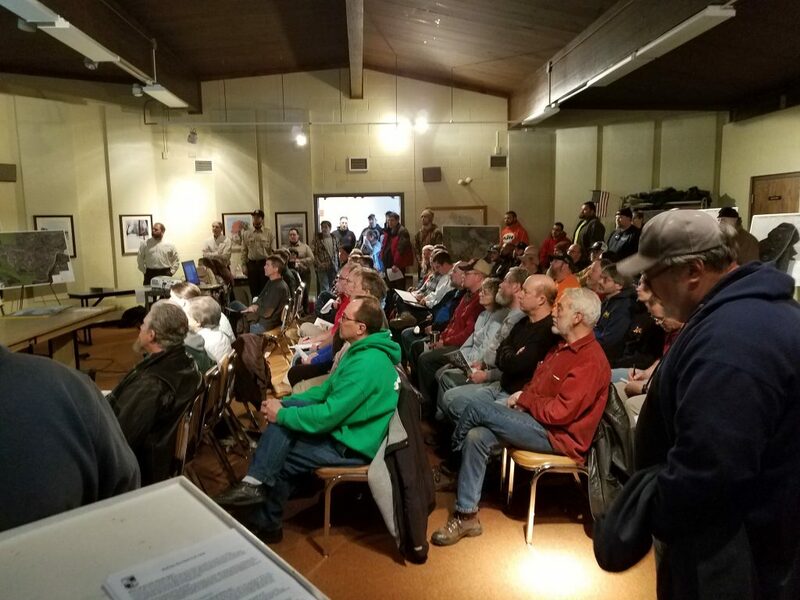 Previously the Maryland Park Service hosted an open house on, October 20, 2018, in Kitzmiller, MD. 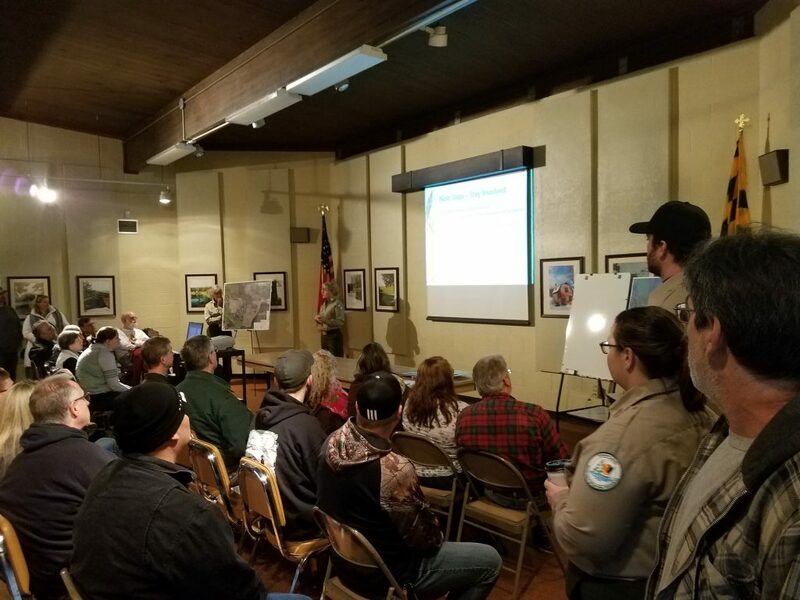 Similar to the first open house, staff will be available to answer questions regarding the property and provide stations to solicit feedback/comments on topics such as trails, hunting, infrastructure, amenities, operations and camping. On the 27th of July, DNR held the ORV Stakeholders Meeting at Rocky Gap State Park. At the meeting, they showed the 30% design plans for the new Savage River trail system. Friends, I have to admit I’m impressed! DNR has definitely been listening to us and took to heart the lessons from the NOHVCC workshop last year. For the rock crawlers, there will be a dedicated section roughly 50′ wide by 250′ long. 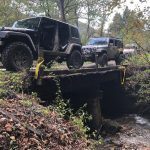 Preston Stevens from the United Four Wheel Drive Associations, and Doug Dobrynski from the FJ Bruisers, provided input to add a bypass lane beside the rock crawl as well as other additions to make that crawl an all-day affair for the wheelers. The campsites will have drive-through access for those of us pulling trailers. They will also be installing a water-less ADA-compliant toilet. There will be 4 group sides with a 40×40 pad and 4 family sites with a 20×20 pad. The pads are for tents and tables. For the kids, DNR will create a kiddy trail between the campsites. There is a trail head near the camp sites for families that want to go hike the Savage River Trail. We suggested that the lower section, which traverses a long hill, be made narrower to slow down riders, increase enjoyment as well as reduce the cost of construction. Most bike and quad riders want a narrow twisty trail and DNR listened. It looks like roughly 30 miles of trail, using the loops as well as going all the way out and back, will be constructed. At the end furthest away from the campsites, we suggested an area be established for a pavilion for folks to take a break or have a picnic. We will be donating a picnic table for their use. The next stage requires permits from the Department of Environment. This is where our meeting earlier with DNR Secretary Belton will pay off. He promised to engage with MDE to expedite the required permits. Standby team! I think you will like the new trail system. On July 20th 2015 we met with Mark J. Belton, Secretary of Natural Resources, the newly appointed Assistant Secretary for Land, Darryl Anthony and Paul Peditto, Director of the Wildlife & Heritage Service. Assistant Secretary Anthony’s appointment was quite a surprise and was literally announced minutes before the meeting. Prior to his appointment, Assistant Secretary Anthony was the DNR Parks Manager for western MD. 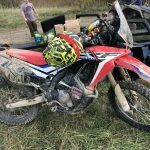 He is a off-road enthusiast as well as a dirt bike rider and a mountain biker. We are extremely excited about his appointment. We had a very positive meeting with the Secretary and Assistant Secretary. We focused on OHV recreational tourism and the economic benefit to rural counties, and public/private partnerships using reclaimed coal mines. We specifically asked him to ensure that the Savage River trail opens next year. Our community has waited almost 5 years for the promised establishment of a public OHV area and it is time to deliver. We also briefed him on the need to have a certified trail builder assist with the trail layout. Construction of sustainable and safe trails is not a job that anyone can do. The State needs to get this right the first time. He promised to engage other departments and remove roadblocks as well as push to ensure a trail builder is part of the construction team. The DNR has been evaluating for acquisition 3,000 acres near Kitzmiller, MD. We have been discussing this with DNR for several years. We asked him to purchase the property and ensure it is operated as an OHV park. This needs the support of Garrett County leaders and we have been discussing that with them as well. This could be the southern anchor to a joint public private riding area similar to Hatfield-McCoy. The Savage River trail would be the northern anchor. In that regard, we asked Secretary Belton to engage with the Department for Economic and Business Development to request a Joint DNR/DBED working group to look at OHV recreational tourism state-wide. As I mentioned, it was a very positive meeting and the Secretary thought what we asked for was reasonable and he saw no show-stoppers. The next year looks to be quite exciting! This just in – I did not get it in time to go to the Frederick meeting. Please attend if you can! You are receiving this message because of your interest in Maryland’s natural resources. Starting today, the Department of Natural Resources will be holding public meetings in nine counties across the State to collect comments on designating additional Wildlands in Maryland’s Wildlands Preservation System. Click here for more information. FYI folks – can someone attend and report back? You can bet DNR won’t view wildlands as OHV friendly. OAKLAND — Garrett County Planning Commission members have mixed emotions about the Maryland Department of Natural Resources Wildlands Proposal that is up for review, according to county commission chairman Robert Gatto, who is a non-voting member of the planning commission. Wildlands are state-owned natural areas preserved for their wilderness character or sensitive natural resources. The nine areas proposed in the county, both new and expanded wildlands, total 9,000 acres. The largest wildlands proposed is 3,993 acres of the Youghiogheny Corridor, Maryland’s only “wild” river. Hunting and fishing are permitted on state wildlands, subject to existing laws, regulations and administrative policies. “At any time, those designations could be changed where you wouldn’t be able to (do those things) depending on who is in office and what their intent is,” said Gatto. Commissioner Jim Raley said that when the DNR purchases the properties, everyone becomes a landowner. 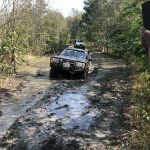 For example, some off-road vehicle trails have been closed and restrictions have been placed on being able to consume alcoholic beverages in parks. 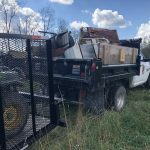 “We invite people to see just how horrible the state has been as a steward of forest land by this gypsy moth mess,” said Marshall’s wife, Cindy Stacy. The state owns $165 million worth of assessed value property in the county, which includes critical infrastructure, according to Raley. The state owns close to 80,000 acres in the county. 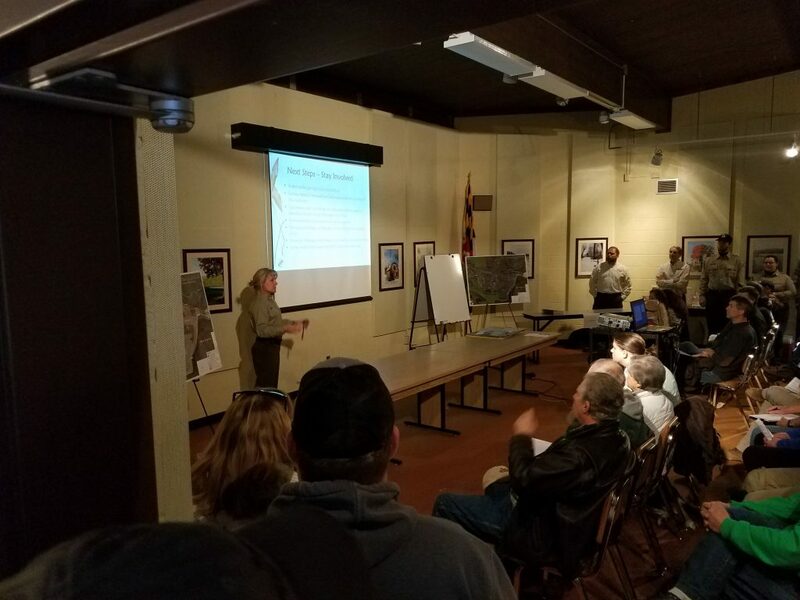 Local meetings regarding the wildlands proposal are scheduled Nov. 6 at 6 p.m. at Deep Creek Lake State Park’s Discovery Center and Nov. 7 at 6 p.m. at Allegany College of Maryland Continuing Education Room CE8. More information on the wildlands can be found on the county’s website at http://garrettcounty.org/news/2013/10/dnr-beginning-public-input-process-on-wildlands-designation. 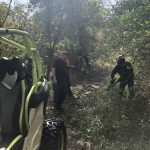 The Maryland Department of Natural Resources (DNR) today announced that of the three off-road vehicle (ORV) trails proposed for State-owned lands in Western Maryland, St. John’s Rock in Garrett County on the Savage River State Forest was the single property selected for ORV use. DNR made the decision based on comments gathered during the public input period this summer/fall. 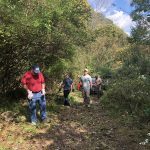 Ecologists and trail experts will work to establish paths and boundaries for ORV-use to develop the system for St. John’s Rock that would have minimal impact on surrounding natural resources. The system, slated for completion in the summer of 2014, will be managed, monitored, and its regulations enforced to ensure ecological best management practices. The other two proposals ─ Sideling Hill North and South trails, within the Woodmont Natural Resources Management Area near Hancock in Allegany County ─ have been withdrawn and removed from further consideration as ORV trails. 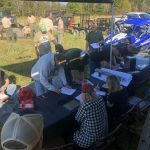 DNR will continue to fortify ongoing efforts to develop public/private partnerships on potential private land ORV trails, and further evaluate opportunities to acquire access to other private land locations for multi-use recreational facilities. 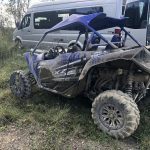 A number of ORV trails were developed within the State Forests in the mid 1980s, quickly becoming a popular, in-demand form of recreation. However, most of the trails had to be closed in 2011, as some of the activity began to threaten environmentally sensitive areas. 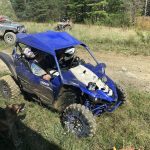 With only a few small ORV trails still open, DNR began a comprehensive two-year study to assess its landholdings and develop a plan that would incorporate these trails in a manner that would have minimal impact on sensitive natural areas. The central meeting that was cancelled due to bad weather has been rescheduled for Wed June 19th from 6-8PM. It will be held at the Howard County Robinson Nature Center, 6692 Cedar Lane, Columbia, MD.